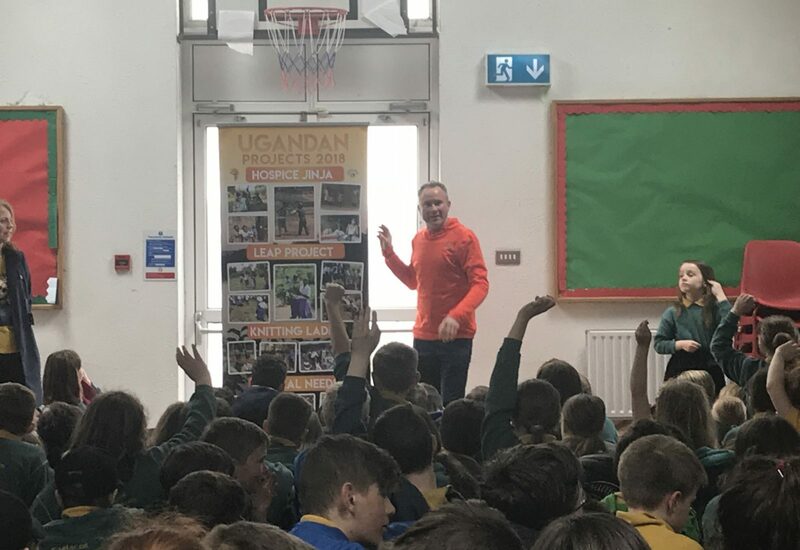 Labhair John Conroy agus Angela (tuismitheoir scoile) ó Ugandan Project 2019 leis na páistí inniu. 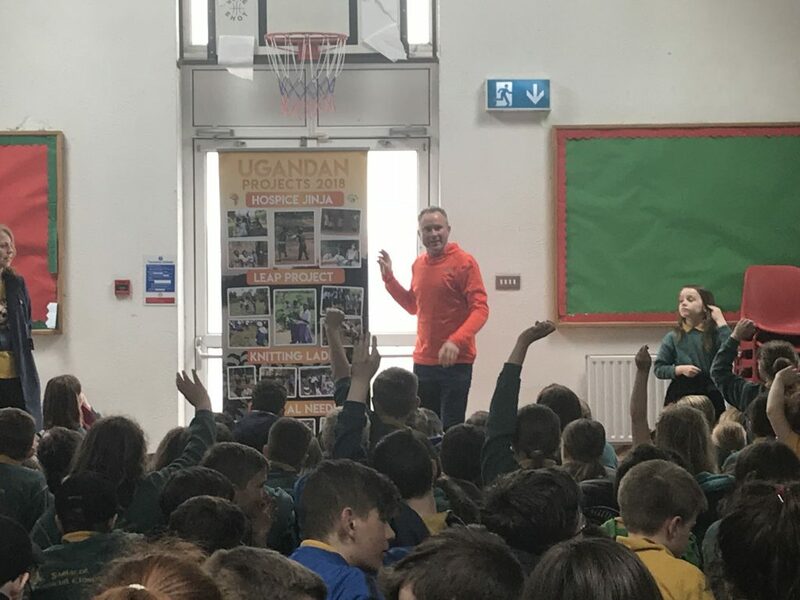 Tá siad ag iarraidh airgead a bhailiú ionas go mbeidh siad in ann scoileanna a thógáil i Uganda i rith an tSamhraidh. Thug siad óráid an-suimiúil agus bhí go leor ceisteanna ag na páistí faoin tionscnamh. Táim cinnte go dtabharfaidh pobal GMC tacaíocht iontach don feachtas carthanachta seo. Díolachán Císte/Dvds agus leabhair ar siúl an Déardaoin seo don scoil go léir sa halla. 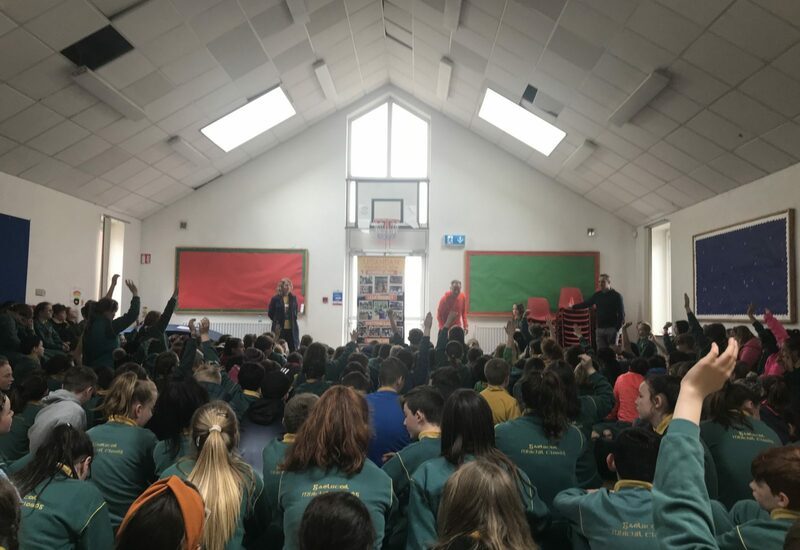 John Conroy and Angela (school parent) from Ugandan Project 2019 spoke with Rang 3- Rang 6 today. They are fundraising in an effort to build much needed schools in Uganda during the summer. 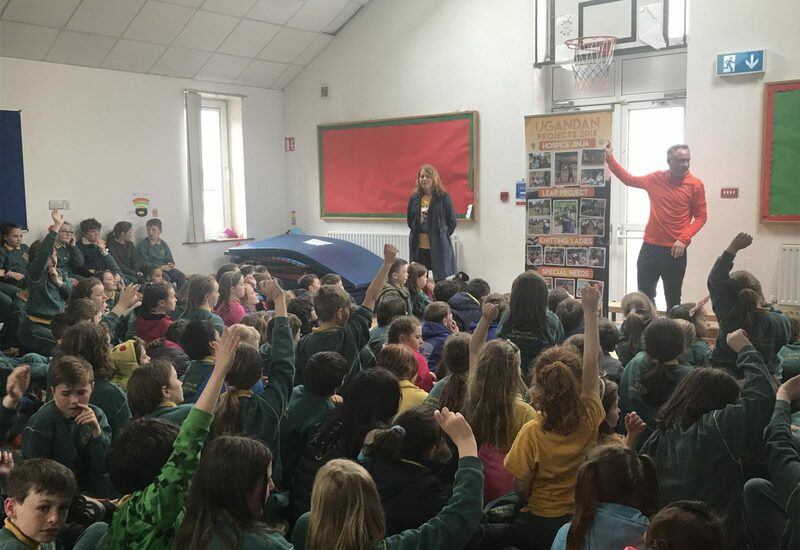 They gave an insightful talk as to why the money is needed and the children had plenty of questions for John and Angela on the topic. We’re sure both children and parents will generously support this fundraising campaign. Cake / Dvd / Book sale to take place this Thursday in the halla.